Very rarely do I visit a garden that I think is perfect. 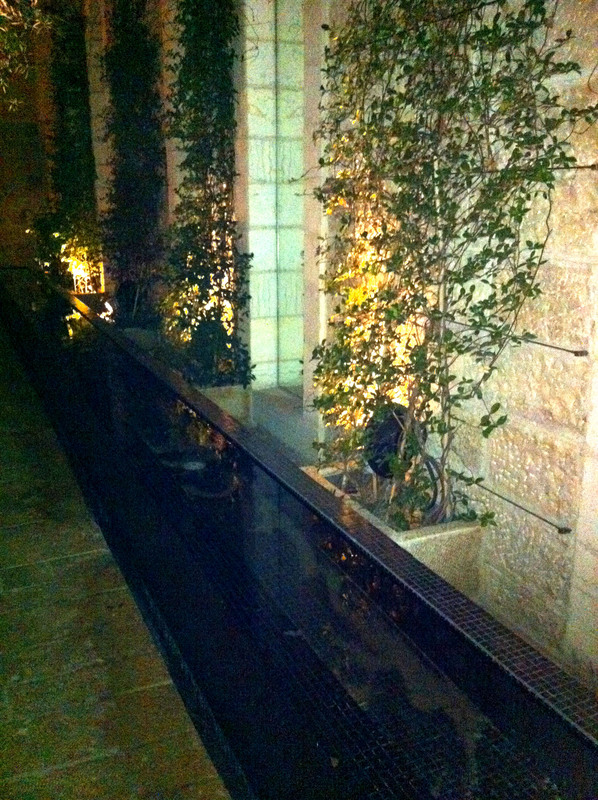 However, this was the case when I walked through the courtyard garden of the Mamilla hotel. 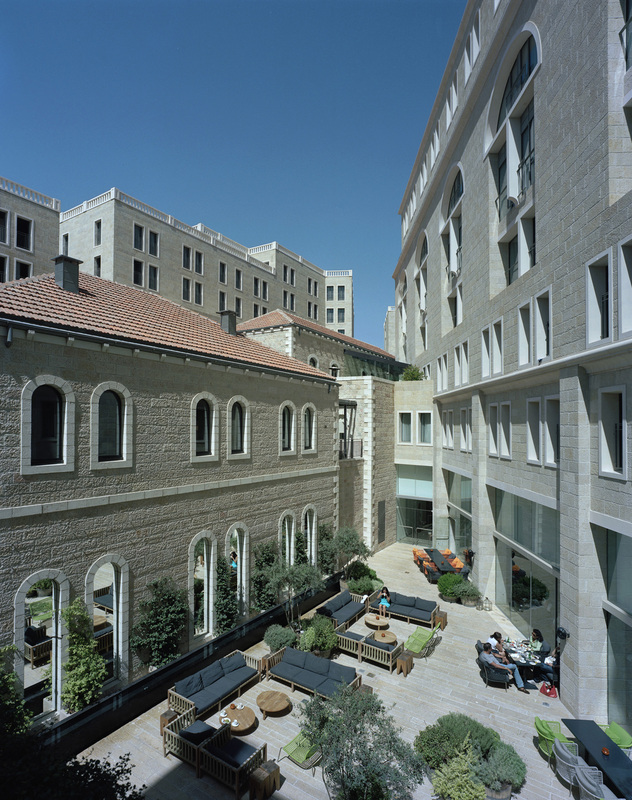 Perched at the edge of the old city in Jerusalem, the Mamilla was designed to blend historic buildings with cutting edge modern design. Moshe Safdie, the project architect, succeeded in creating a stunning building worthy of standing next to the walled city. Italian designer, Piero Lissoni, collaborated on the furnishings and interiors. 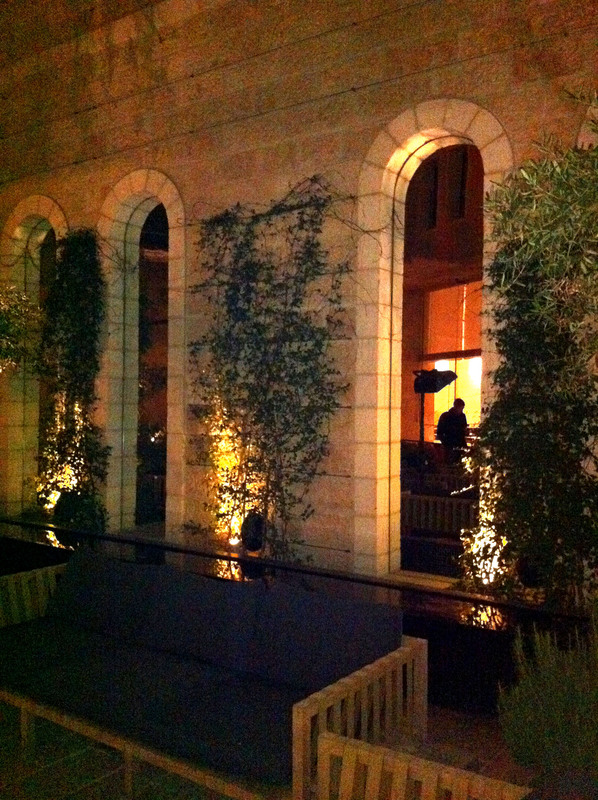 With a full restaurant and bar, the rooftop is a great place to have a drink and enjoy killer views of Jerusalem. 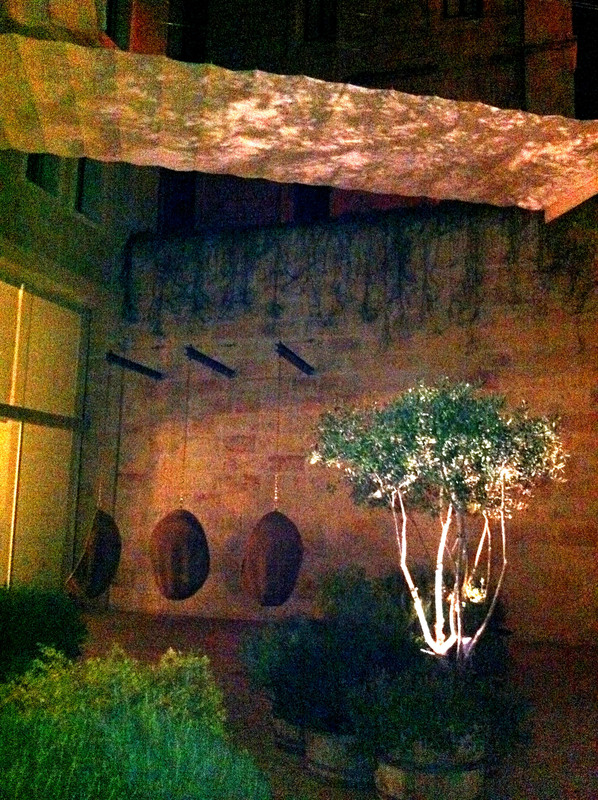 The mirrored bar on the second floor is oozing with ambience, but the courtyard on the lower level of the hotel is what I found most captivating. Built in a triangular space, the courtyard features a sleek black trough fountain, mirrored walls, romantic lighting, suspended swings and whimsical furniture. The courtyard is a place that you want to spend time in, not just look at. Though it is a small space, the layout and furniture arrangement allows you to find your own niche while enjoying the garden. The arched mirrors built into the architecture of the walls make the space come to life while the swings hit the right notes of surprise and quirkiness.